HANOI, Dec. 20 (Xinhua) -- Boao Forum for Asia held here on Thursday the China-Vietnam Economic Cooperation Promotion Forum, attracting nearly 500 government officials and entrepreneurs from both countries. Addressing the forum, Li Baodong, secretary general of Boao Forum for Asia (BFA), said BFA has always been committed to promoting China's deepening of bilateral and multilateral pragmatic economic and trade cooperation with Asian countries. "At the first China International Import Expo held last month, many Vietnamese products were favored by Chinese people, " said Li, adding that many well-known Chinese companies participating in the forum here are also members of BFA. They have invested in Vietnam for years and have been recognized by all walks of life in the country. Li said BFA is willing to help China and Vietnam accelerate synergy between development strategies, strengthen inter-connectivity and economic and trade cooperation within the frameworks of China's Belt and Road Initiative and the Two Corridors and One Economic Circle Plan of Vietnam. 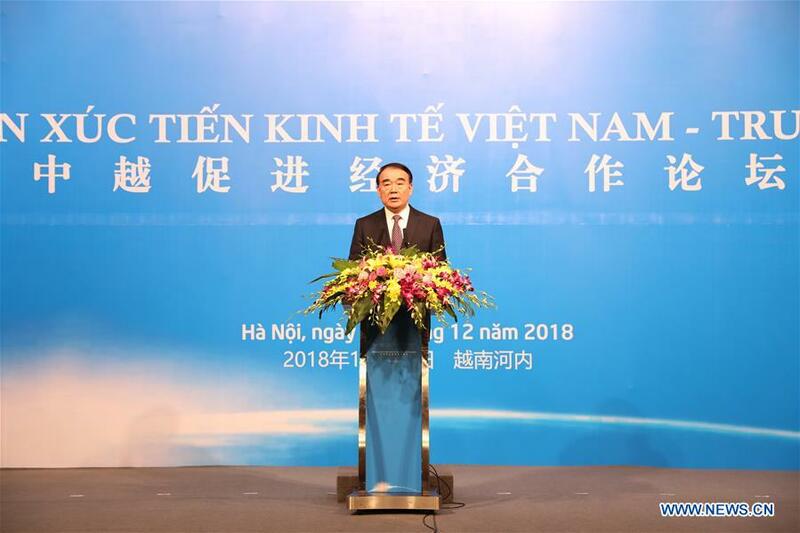 In his speech, Vietnamese Deputy Minister of Foreign Affairs Le Hoai Trung said the one-day forum attracted hundreds of delegates, fully demonstrating that Vietnam and China and other countries have paid great attention to the future economic and trade cooperation. Addressing the forum in Hanoi, Xiong Bo, Chinese Ambassador to Vietnam, said both China and Vietnam are determined to achieve new development goals through deepening reform and opening up. The forum in Hanoi reflects the support for promoting the China-Vietnam economic cooperation, said the Chinese ambassador.